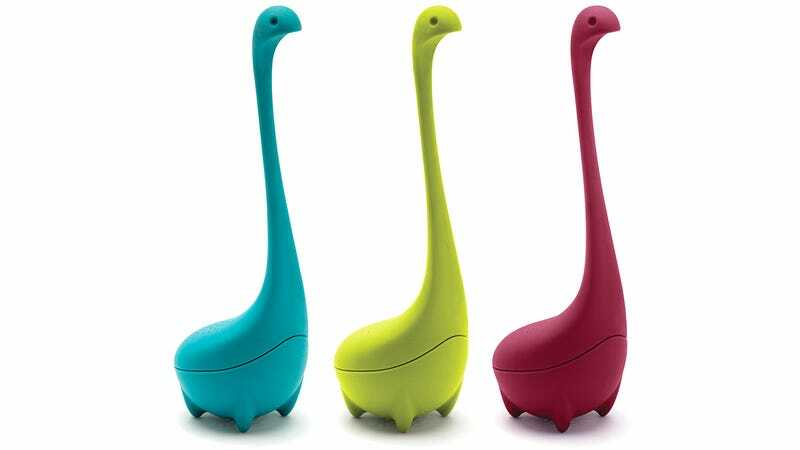 Scientists discovered a trench at the bottom of Loch Ness where a prehistoric creature could hide, but when it comes to sightings of the famed monster, you can probably expect reports to skyrocket just when people are off to make a cuppa, as a result of OTOTO Design’s new Baby Nessie tea infuser. 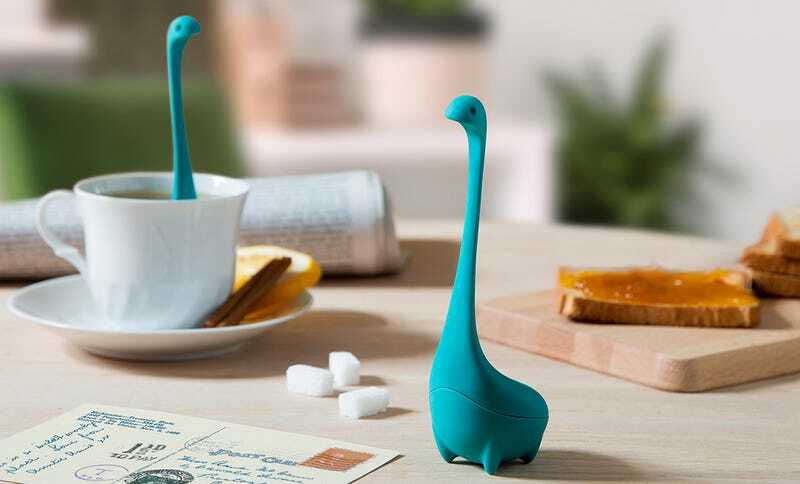 Joining OTOTO’s Nessie Ladle and larger Colander Spoon kitchen accessories is the smallest version of the design shop’s Loch Ness monster family. Made of food-grade silicone, Baby Nessie splits open so it can be filled with tea leaves, while a series of perforations on its back allow hot water to flow in and out for steeping your beverage.